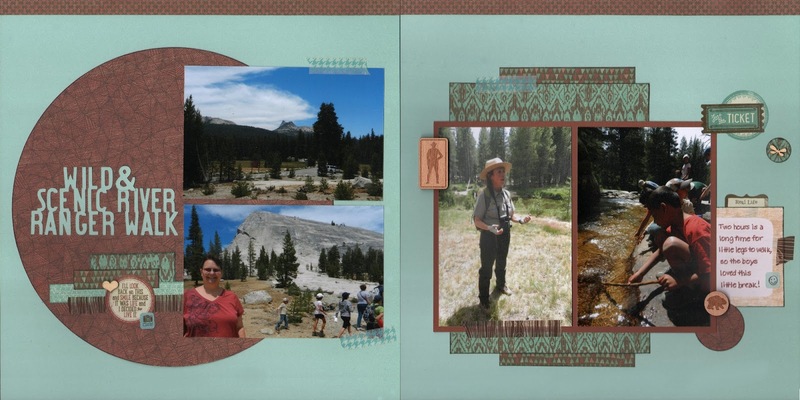 When looking at this group of pictures, I felt like I had too many for one layout but too few for two layouts, so I compromised by creating a layout featuring a few pictures and putting the rest into a pocket page. This allowed me to use quite a few of my Jackson journaling cards, and it challenged my brain with how to lay them out and add journaling! I posted the finished layout first and then the pocket page, but in my scrapbook, the pocket page will actually be inserted between the two layout pages. I love it! I loved Jackson, one of my paper packs. Thanks for playing along with Heart 2 Heart Challenges (H2H). 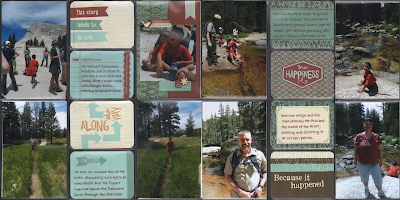 Awesome layout to showcase a great hike. Thanks for sharing with us at Heart 2 Heart. What a great idea and love all the photos it sure tells the story. Thanks for playing along with us at Stick it Down. Great layout with great retired paper (sigh). You did a wonderful job with the companion pocket page too. Thanks for sharing at Heart 2 Heart! Great way to showcase your photos!! Thanks for playing along at Stick it Down! Fantastic layout, I love the colour choice, it matches the theme perfectly! Thanks for joining us at Stick It Down! Beautiful layout! I love these colors - it really gives an outdoorsy feel. Thanks for joining us at Stick it Down!